According to a CNN new article published on May 19, Adnan Syed, convicted of killing ex-girlfriend Hae Min Lee in 2000, may now get a big break after the Maryland Court of Appeals agreed to send his case back to lower court. Syed’s case is covered extensively in the highly popular podcast “Serial,” a 12-episode series. Raised in the podcast were questions regarding Asia McClain, a witness who gives Syed a potential alibi for the time period in which Lee disappeared. In January of 1999, Hae Min Lee and Adnan Syed were both seniors at Woodlawn High School. Lee disappeared; her body was discovered several weeks later in a city forest in Baltimore County. McClain claims that at the time of the killing, Syed was with her in the library, a piece of evidence that never made it to Syed’s trial. The “Serial” podcast dug into one of the puzzles of the case, leaving questions regarding why McClain’s account of Syed’s whereabouts never made it into the defense case. McClain claims that her efforts to provide this evidence to Syed’s attorney “fell on deaf ears.” Whether or not Syed is granted a retrial in the Baltimore City Circuit Court may hinge on McClain’s testimony and version of the events. Syed claims Cristina Gutierrez, his attorney at trial, made several missteps that could have resulted in a different outcome for his case, including the failure to speak with McClain regarding potentially critical evidence, and disregarding his request to seek a plea deal later in his case. Syed’s current attorney, Rabia Chaudry, said that if the circuit court reopens post-conviction proceedings, they can bring in Asia McClain so the court can determine whether Syed’s trial attorney erred by not bringing in the alibi witness. Syed is very please with the appeal court’s decision to send the case back to lower court. Michigan criminal appeals attorneys understand that in many cases, an individual may be convicted because of ineffective counsel. Procedural errors can also result in a guilty verdict for someone who may be innocent. People make mistakes, even in the criminal justice system. Individuals who are convicted often have a “second chance” to set the facts straight or bring in critical evidence through post-conviction motions and appeals. Anyone who has been convicted of a crime and feels that crucial evidence was excluded or mistakes made should discuss their case with an experienced post-conviction defense attorney. 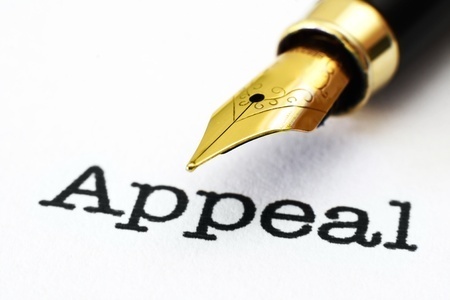 The appeals process is complicated; judges in appeals courts rarely overturn a conviction or send a case back to a lower court, but it does happen. However, choosing a skilled lawyer with extensive experience in the appeals process is critical to good results.